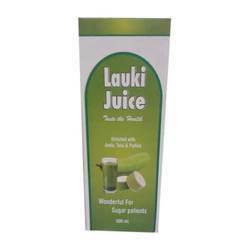 Offering you a complete choice of products which include amla juice, natural juice, trifla juice, lauki juice, neem karela jamun juice and aloevera juice. From our inception, we keep a track record of offering Amla Juice. 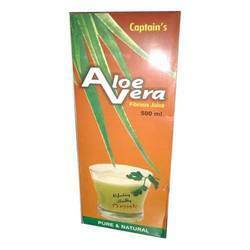 Mainly used for providing vitamin C, this is widely utilized by our customers. 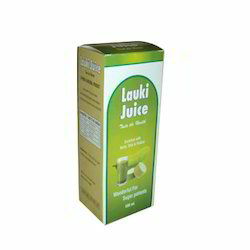 Our provided juice is processed under the most suitable environment using pure quality amls in tune with the predefined market standards of quality. 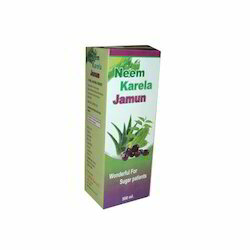 Apart from that, our prestigious customers can avail this from us in diverse packaging options at nominal prices. 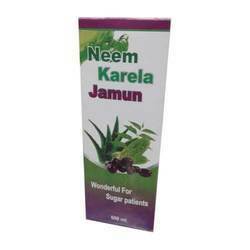 Offered by us is a prime range of Wonderful for Sugar Patients Juice (Neem Karela Jamun Juice) for our valued customers. These products can be availed by our valued client’s at most reasonable prices. Our offered products are made at our ultra-modern processing unit employing the high quality components that is purchased from trustworthy vendors of the market. Our strong determination and support of talented professionals, helps us in offering stellar quality Tirfla Juice. This juice is efficiently processed using optimum quality trifla under the observation of our brilliant team in conformity with the set industry standards. 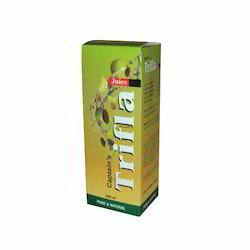 Offered juice is a pure form of trifla, which is suitable for use in diverse deceases. Besides, this is made available in air tight packaging options to assure its safe during transit. Looking for Hebal Lipstic ?